Edumia is a comprehensive online institutional management system specifically designed for Schools and Colleges. Edumia is not just a school management system, But an active management system for every aspect of the institution. Every function is fully integrated using a single, powerful, and completely secure database. Edumia can handle the varied needs of your school. Edumia empowers administrators, increases teacher efficiency, and provides vital information to teachers and students. 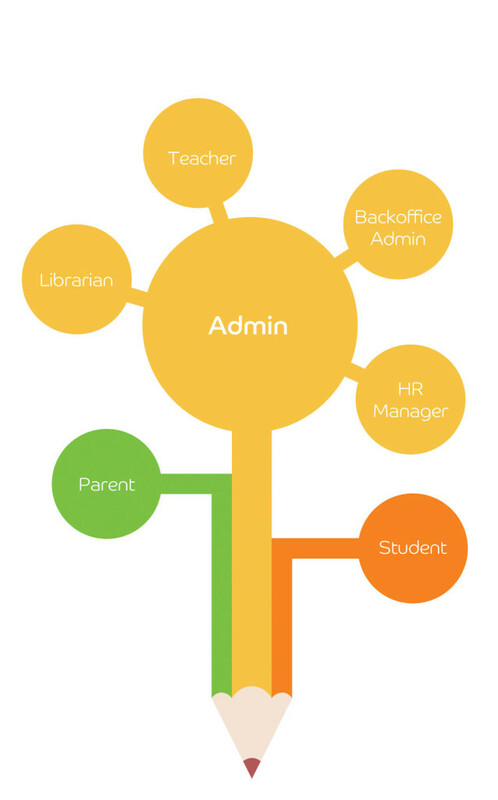 Admin can manage the entire institution through the single window. He can manage Students, Teachers, Staffs, Courses and batches, SMS and Voice call and everything the institution uses. Teachers can manage students, Daily attendance, Exam Marks and comments, update student info etc. Teacher can upload class notes to students. Students can view their marks and grades, Fee details, can download their notes uploaded by teachers. Students can communicate with teachers and parents if needed.